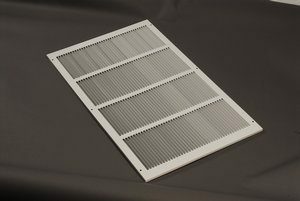 Vertical Grilles Available Upon Request! 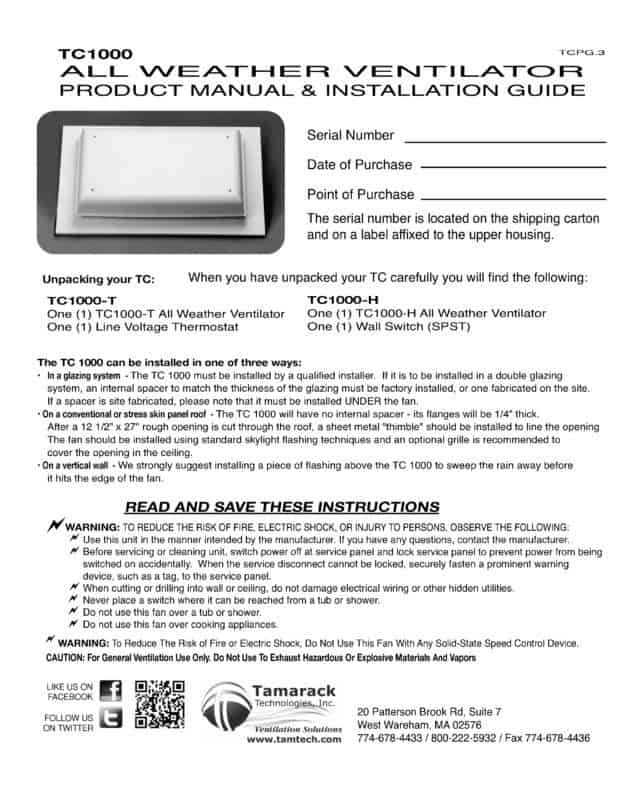 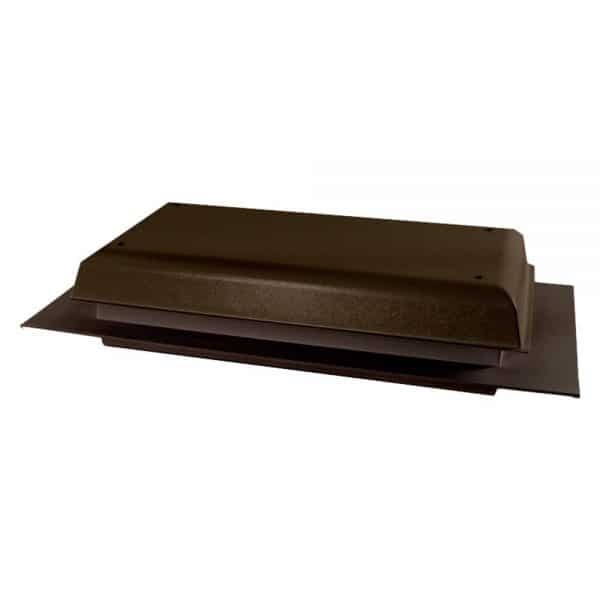 The TC1000-H is the only ventilating fan designed and assembled in the USA for use in solid roof or wall applications. 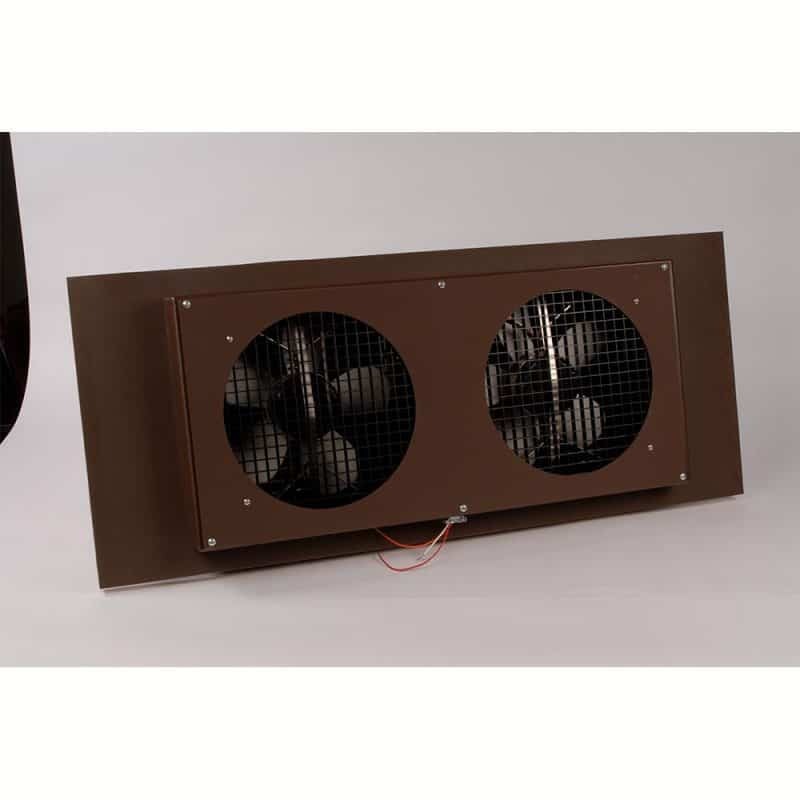 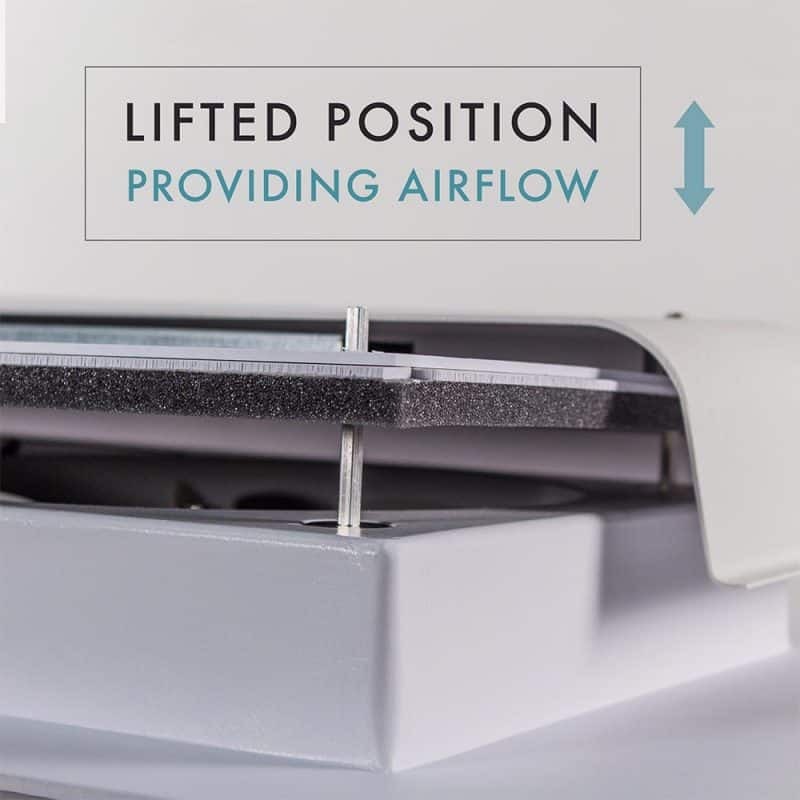 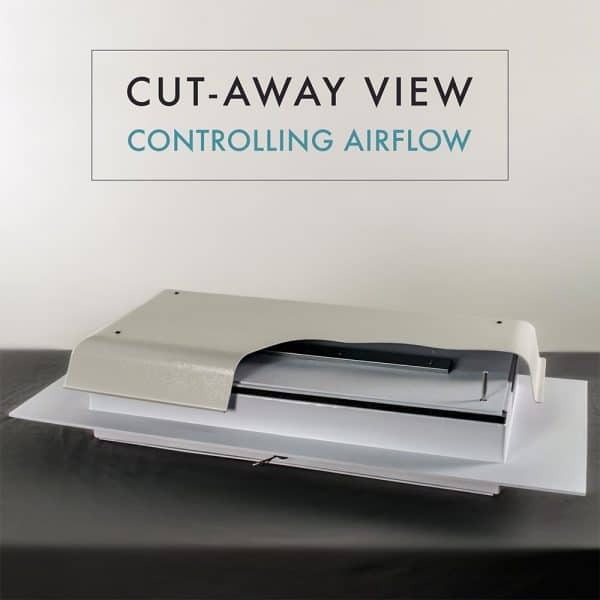 Two energy efficient fans move 800 cubic feet of air per minute. 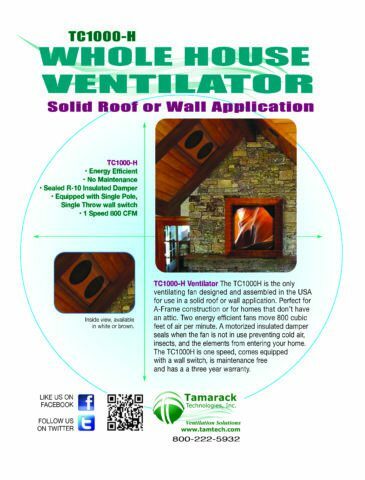 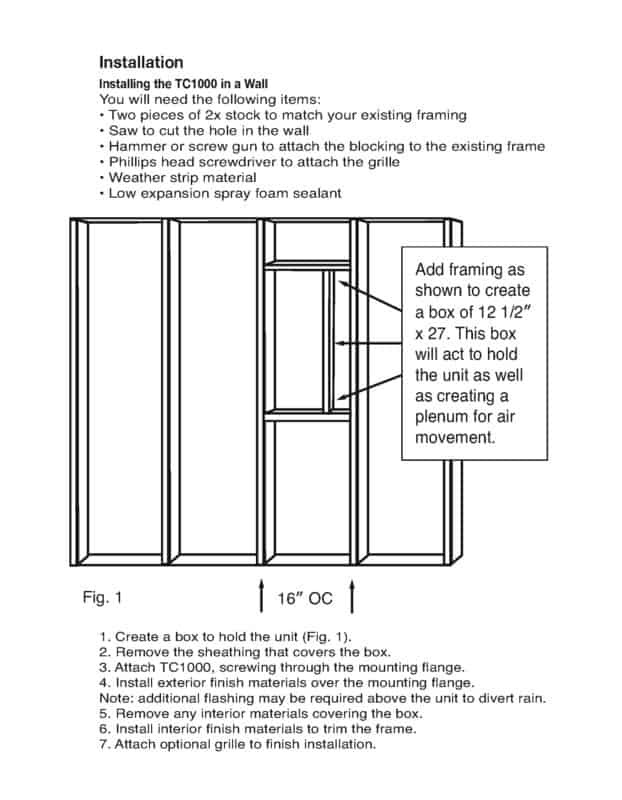 This is the perfect fan for A-frame construction or homes without an attic. 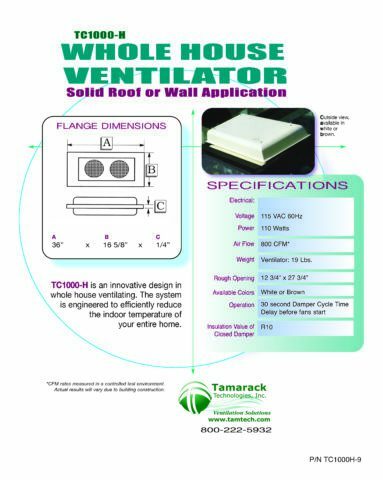 Allow two weeks for the order to be shipped Verify TC flange size prior to ordering. 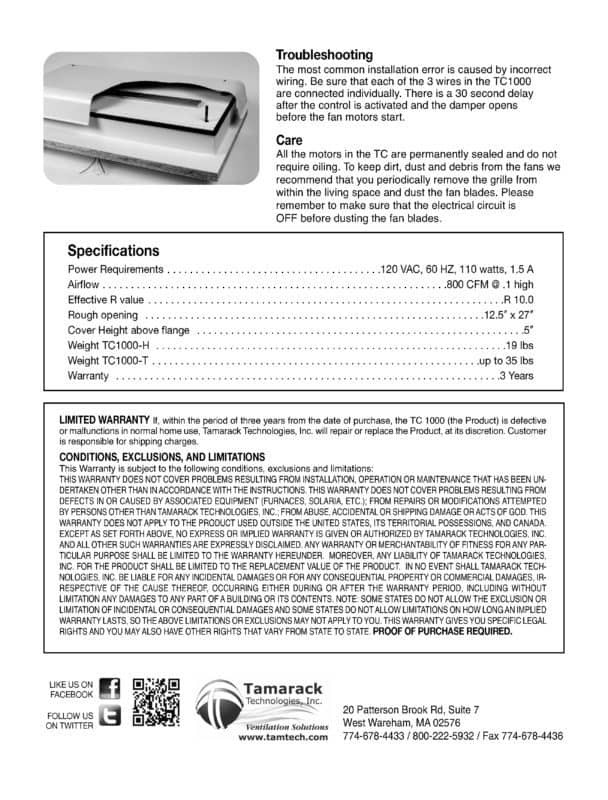 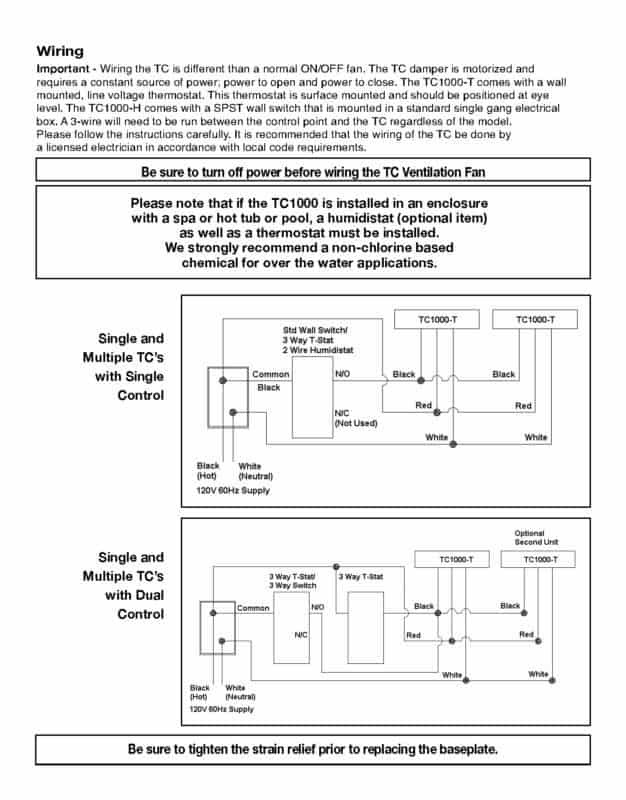 The TC is a custom built unit, returns are not accepted.